Raw Mango Chutney is a tangy dip made using fresh coriander, mint and raw mangoes. It goes perfect with Indian snacks and meals. Here is how to make Raw Mango Chutney. Raw Mango Chutney is my most loved tangy dip during the summer! 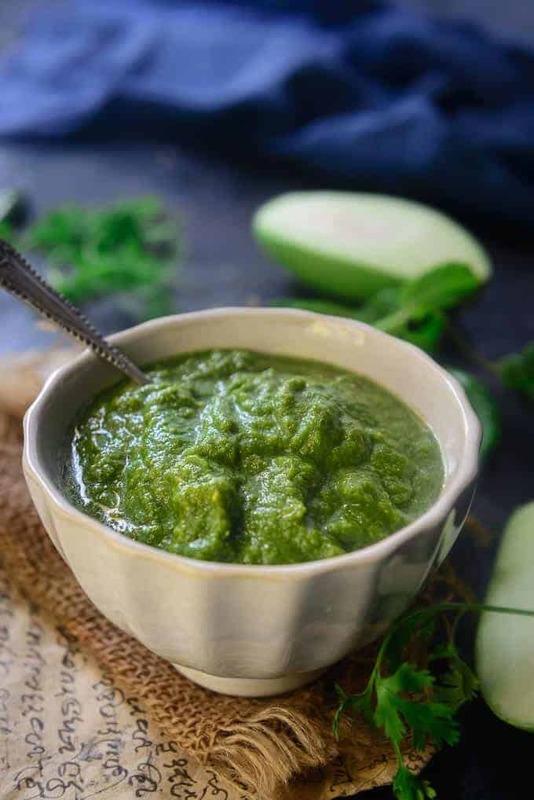 Green Chutney is not new to Indian households, yet each home has its own way to make it. Chutney is so integral in the Indian cuisine that it is relished with snacks, during lunch and even for dinner. The proportion of the ingredients and addition of a few different ones make a huge difference in the taste of this humble dish. My Mom’s recipe for this chutney has always been a talk of the town and whoever tasted it claimed that it was the best chutney they have ever had. So this time when she was visiting me, I stood next to her with a pen and a notebook and measured all the ingredients, she dumped into the blender and now when I made the chutney following her recipe, it came out exactly as hers. Kairi aur Dhaniya ki Chutney is quite healthy, it contains vitamin C which immunes us from many diseases. 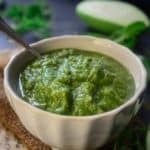 Raw Mango Coriander Chutney is even beneficial for protecting us from diarrhoea, dysentery and indigestion related problems during summer. It even helps us from sun stroke, scurvy and stomach related disorders.Relish this yummy chutney with Mango Mint Paneer Tikka this summer and feel more joyous. 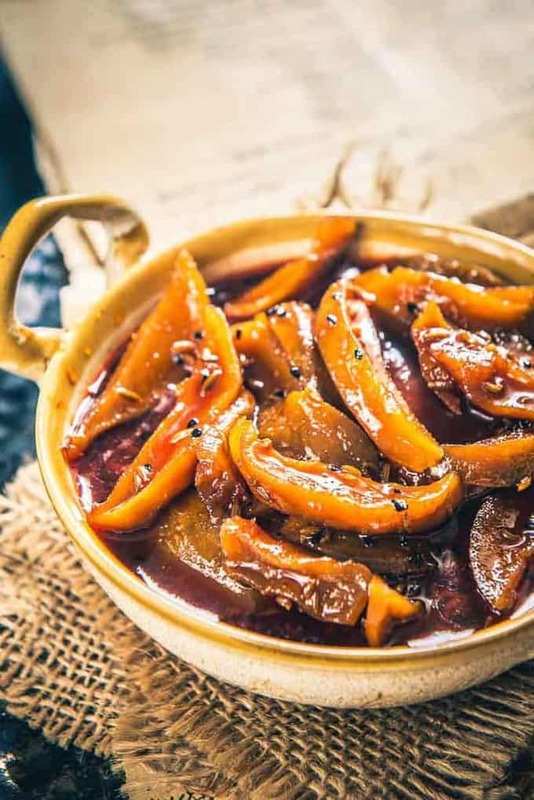 How to make Sweet Raw Mango Chutney? Sweet raw mango chutney is also called aam ki launji. It is sweet and tangy at the same time and tastes delicious. You can check out the detailed recipe to make it here. Raw Mango Chutney is a tangy dip made using coriander and raw mangoes. It goes perfect with Indian snacks and meals. Here is how to make it. Clean mint and coriander and remove the hard stems. Wash nicely under running water. Add all the ingredients in a blender and blend to make a smooth chutney. Add just a tbsp or two of water if required to blend the ingredients. Transfer the chutney in an airtight container and store in refrigerator for up to a week. I make it same way without garlic and hing. Awasome pictures.